Note: By default, DHL Express Regular will remain selected until seller changes it to DHL CSB V. For DHL regular shipment booking, DHL Express Service should be select as DHL Express Regular. LUT file is not required for DHL Regular booking. 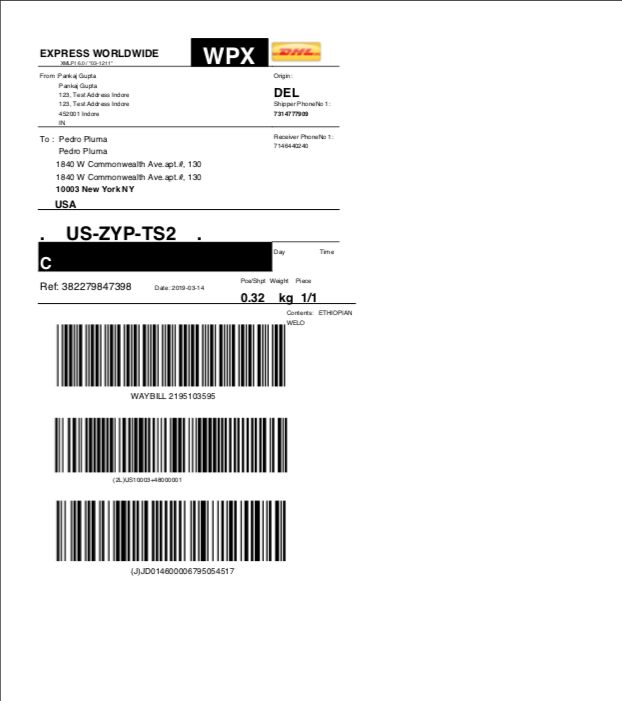 Step 2: Select Logistic Partner as DHL Express. IGST will be “NA” by default for DHL Express (Regular Only). Step 3: If IGST is selected as "Yes" then the IGST amount field will get enabled and you will have to enter the IGST amount before booking the shipment. Bond or UT need not be uploaded. 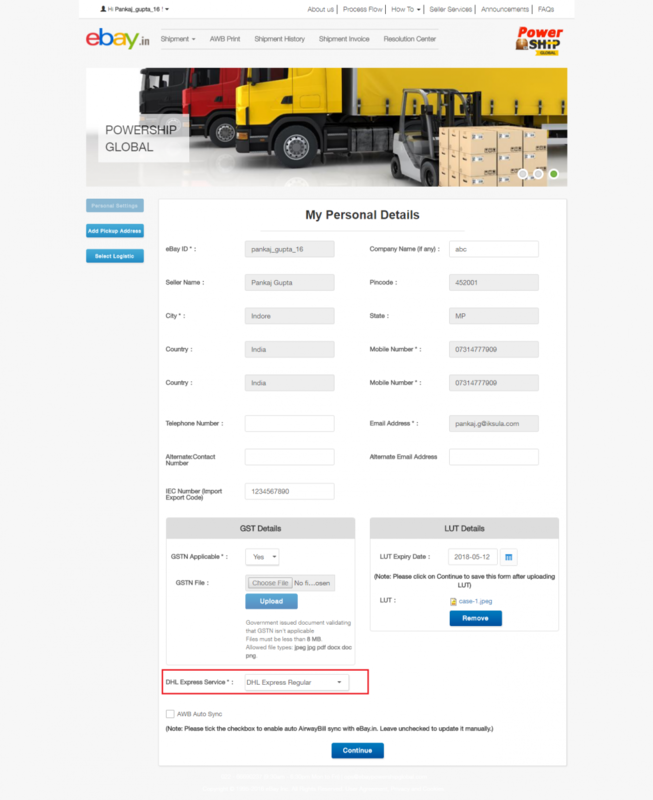 Step 4: If IGST is selected as "No" then IGST amount field will get disabled on the shipment booking form. 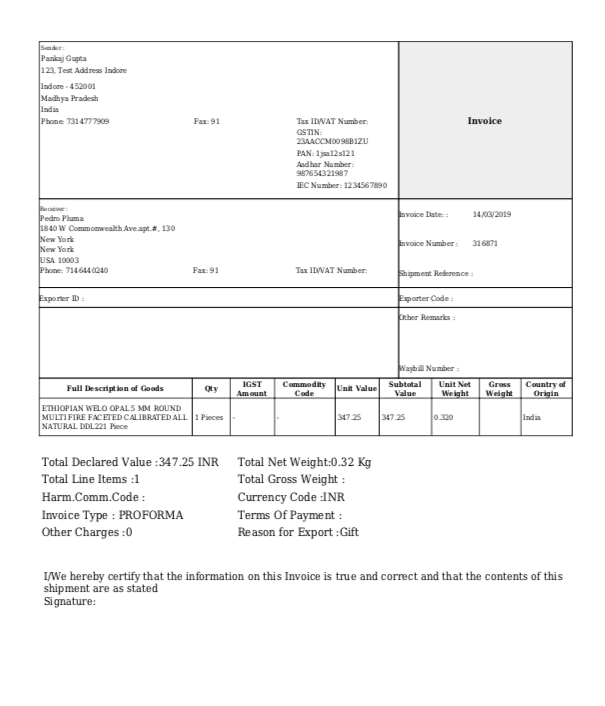 Bond or UT will then be required for booking the shipments. You can upload the Bond/UT from your user profile. 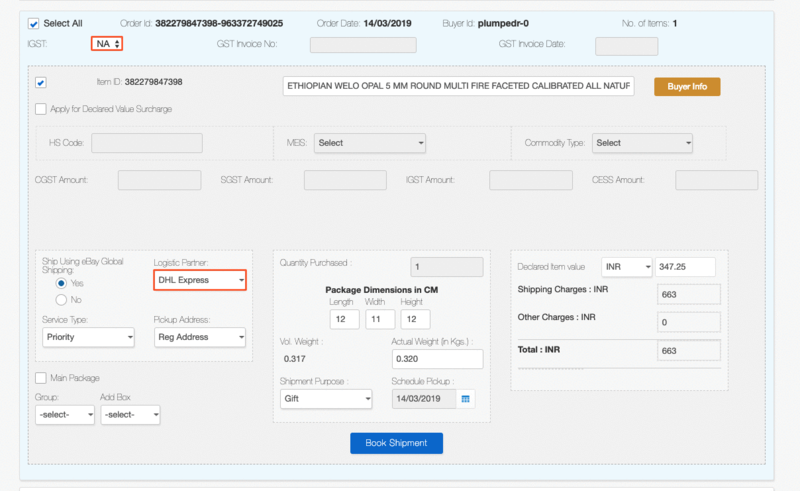 Step 5: If IGST is selected as "NA" then IGST amount field will get disabled on the shipment booking form. Bond or UT need not be uploaded.